Everlytic analysed over 2 billion South African emails sent during the period of January 2016 to December 2016. In this report, we examine how email marketing metrics have changed over the past two years, and look at new benchmarks to strive for. 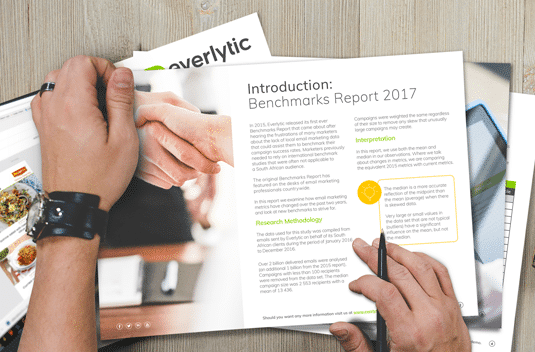 For more detailed insights and to find out how your industry compares, download the Benchmarks Report.